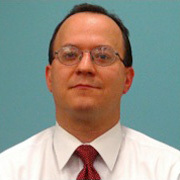 SCOTT STEELE serves as the Director for Operations of the NYS Center of Excellence for Data Science and Deputy Director of the Institute for Data Science at the University of Rochester. He also continues to serve as the Director of Government and Academic Research Alliances at the University, where he facilitates strategic partnerships between the University and government agencies and laboratories, industry, and other academic institutions. He is actively involved with the University of Rochester Clinical and Translational Science Institute and holds an appointment in the Department of Public Health Sciences, where he teaches in the area of science and technology policy. Prior to joining the University of Rochester, Steele served in the White House Office of Science and Technology Policy (OSTP), initially as a policy analyst and was later designated as the Executive Director of the President’s Council of Advisors on Science and Technology (PCAST). Steele coordinated PCAST studies addressing issues in personalized medicine, nanotechnology, energy technologies, and approaches to enhance university-private sector research partnerships. Previously, Steele served as a senior policy specialist and intelligence analyst at the Federal Bureau of Investigation. Steele received his BS with Honors in Biology from Union College in Schenectady, NY. Following this, he performed research at the General Electric Center for Research and Development and was a fellow at the National Institutes of Health in Bethesda, MD. Steele completed his MA and PhD in Molecular Biology at Princeton University.